How do I compare shipping rates using Unify Desktop? 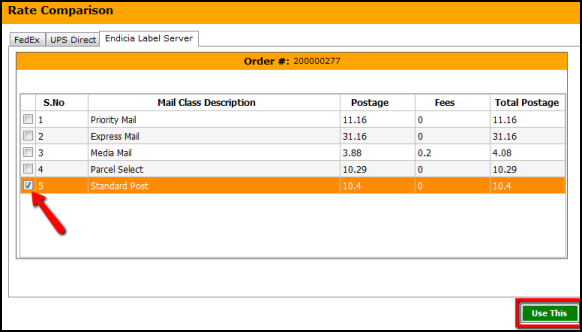 If you are using multiple shipping processors with Unify Desktop, it is possible to compare the shipping rates for a shipping service for UPS Direct, FedEx and Endicia Label Server. After the address has been validated and the shipping details have been selected, the shipping rates between the shipping processors can be seen. Select the Compare Rates button. The rates according to each processor will be displayed in its own individual tab. 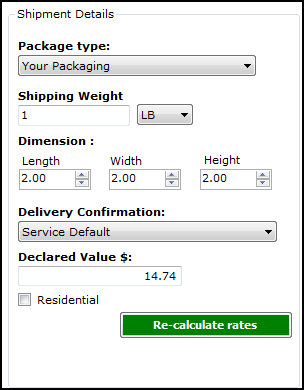 Toggle between each tab to view the rate for shipping with the selected service. The shipping details can be modified in this area and the rate comparison can be re-calculated. 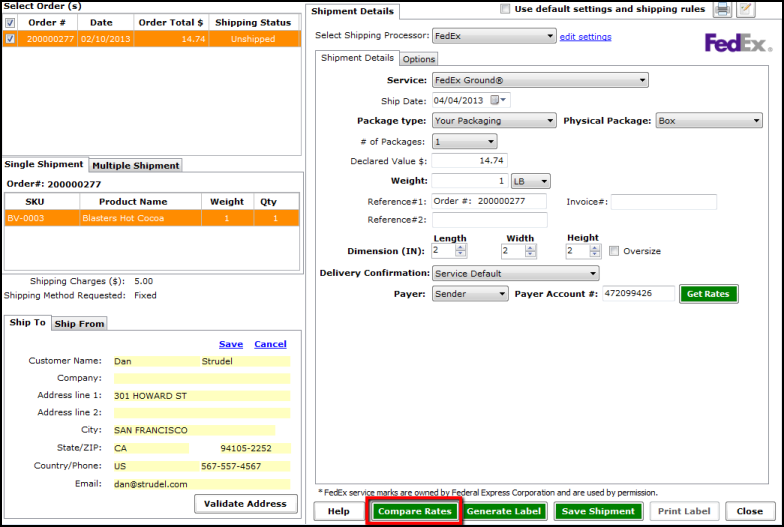 When you have chosen a shipping processor to ship with, select the shipping service and click the Use this button. 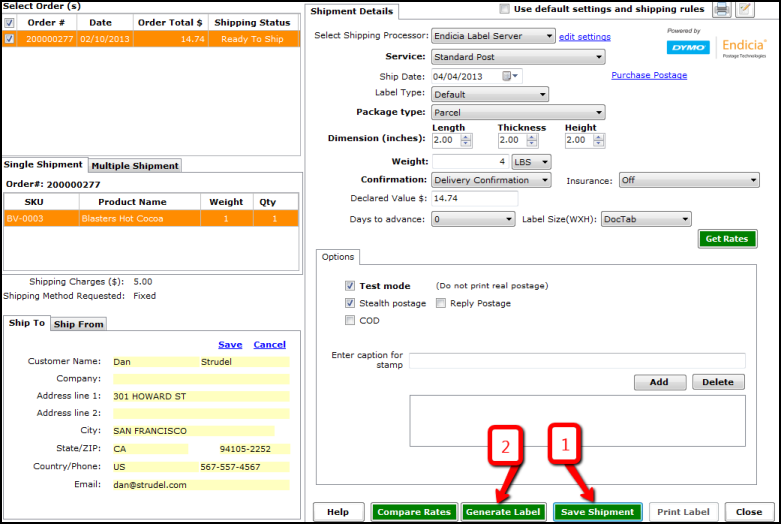 The rate comparison window will close automatically and now the shipment can be saved and the label can be generated. If you have multiple orders, comparing rates and saving the shipment must be done individually for each order.